Posted on September 28, 2016 by alysyla Posted in Blog	. Making our own makeup has made for plenty of memories experimenting with different formulas. Of course every great invention couldn’t be made possible without many mistakes along the way. We wanted to share with you a homemade beauty recipe that has been very helpful in our makeup and weight loss journey. This homemade natural makeup brush cleaner will leave your makeup brushes free of gunk! 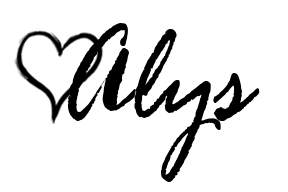 Although you are using smelly vinegar, it will come out after the rinses and drying process; usually within 20 minutes of drying. You may use more or less vinegar in this recipe if you desire, but we’ve found that two teaspoons have worked the best. Viola! You have a homemade natural makeup brush cleaner at your finger tips. 😀 But now what!? 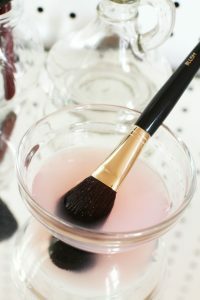 Making your own homemade natural makeup brush cleaner, and actually using it, will benefit your skin in so many ways. We had a customer come into our store that said she never used a makeup brush cleaner a day in her life and we told her the effects of dirty brushes. Once we got to the point of putting her skin at risk of getting more wrinkles, she told us that she has been trying every anti-aging and anti-wrinkle cream such as Revitol’s formula and Vivacious Skin. These homemade natural makeup brush cleaner recipes can be made in a batch and stored at room temperature. We recommend cleaning your makeup brushes at least once a week if you apply makeup everyday. 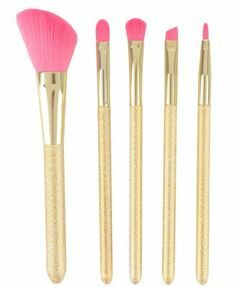 Have you ever experienced anything bad from your makeup brushes when you didn’t clean them or do you have some tips on how to clean the brushes? Let us know in a comment below! Tags: all natural, bristles, brush cleaner, diy, homemade, homemade natural makeup brush cleaner, makeup, makeup brush cleaner, makeup brushes, makeup cleaner, natural makeup brush cleaner, organic, skin care	.